Decorating your walls with art can get expensive fast. Even mass produced prints are not cheap when you add in the cost of framing them. 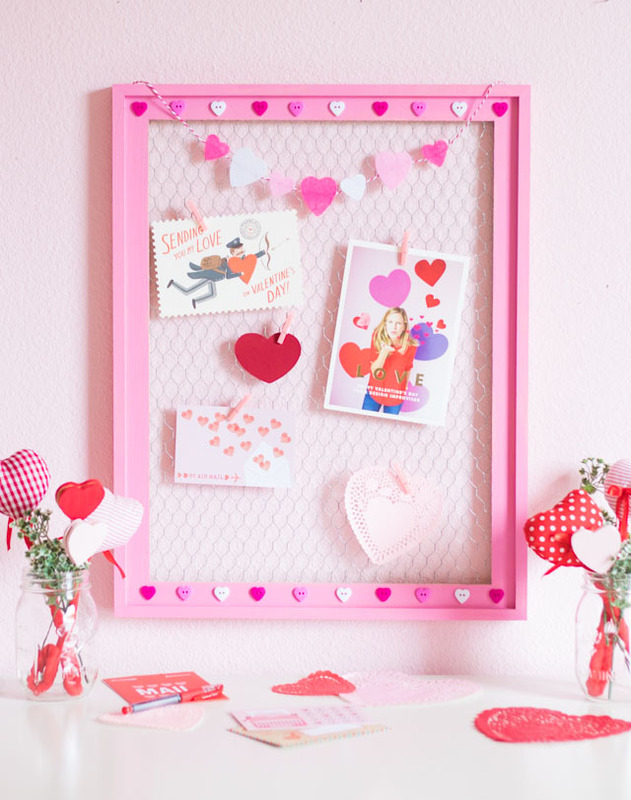 The good news is you can make attractive wall art all by yourself. 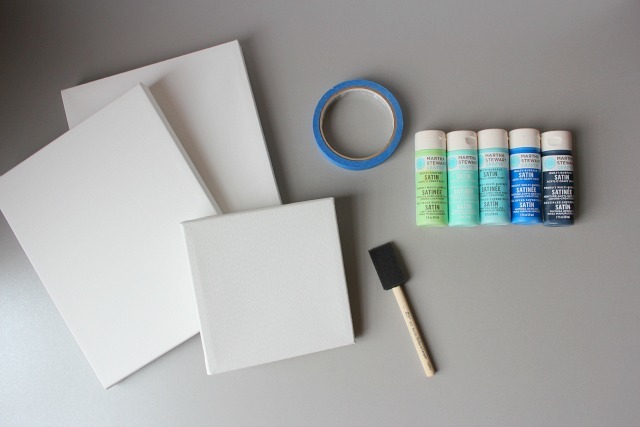 All you need are a few plain canvases. No artistic skills required! 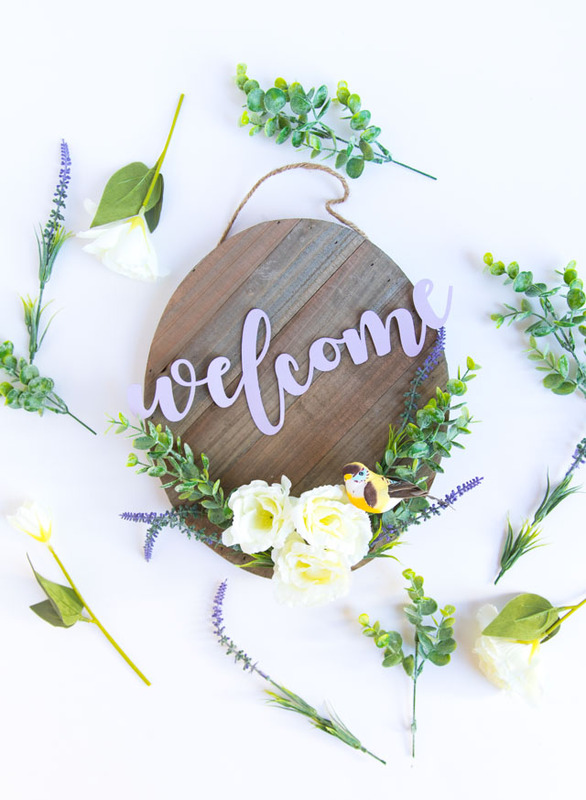 Canvases are typically only a few dollars a piece – especially when they are 50% off (craft and art supply stores tend to have them on sale regularly). 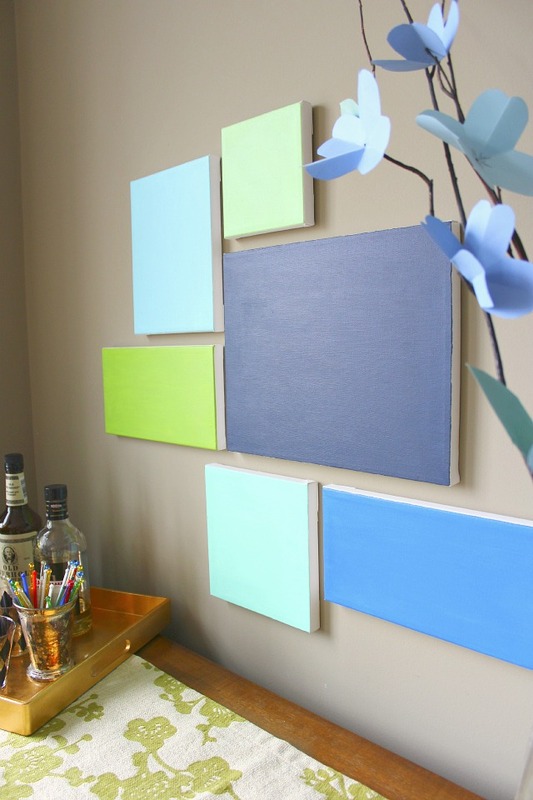 Here is my take on super easy wall art using various sized canvases painted in a complementary color palette. I think there is a modern and fresh feel to its simplicity. 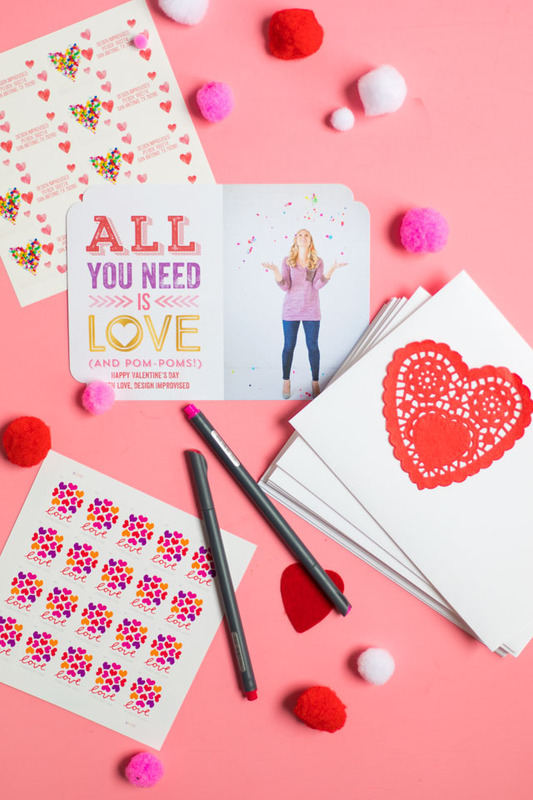 The best part – it couldn’t get any easier! Here’s all you need. The key to a visually interesting grouping is choosing a variety of sizes and an interesting color palette. An odd number of canvases usually works best. 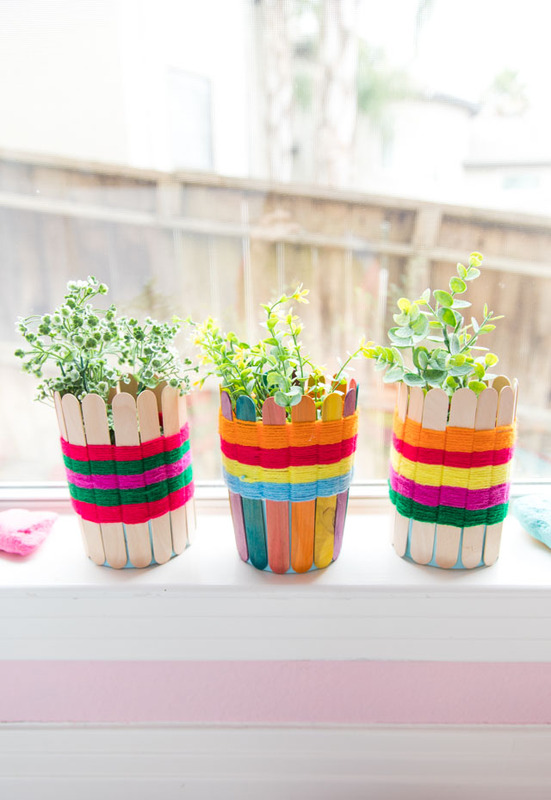 Get creative and play around with sizes and colors that would look best in your space. 1. 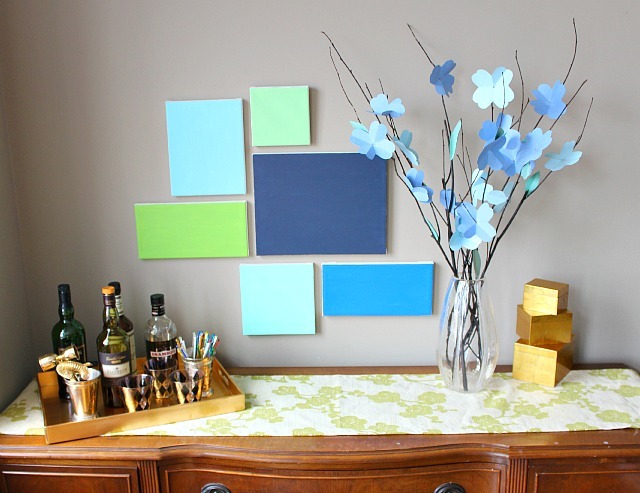 Cover the edges of the canvas with a strip of painters tape. 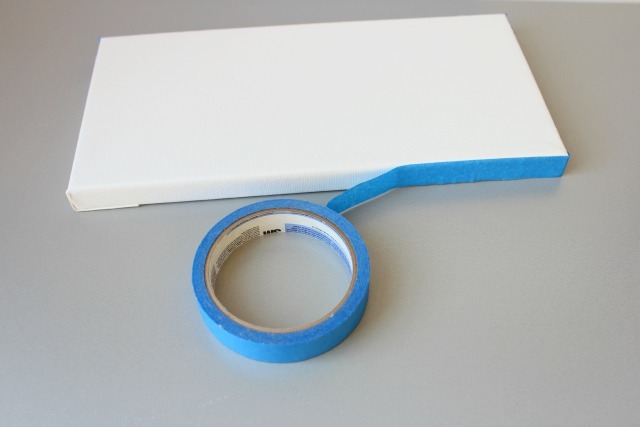 Make sure that the tape is pressed flush to the canvas to prevent any paint from seeping underneath. 2. 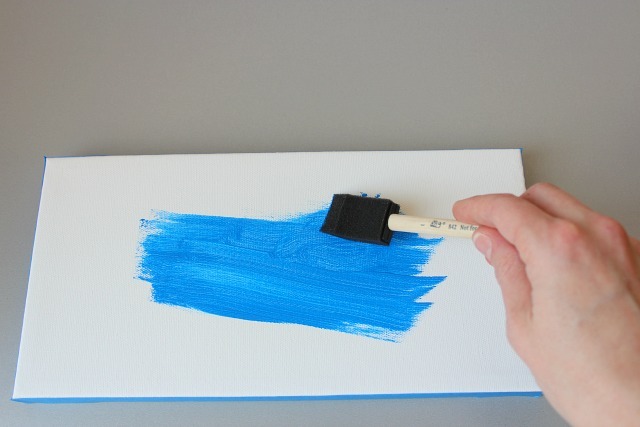 Use your foam brush and a small amount of craft paint to cover the entire top of the canvas. Let this first coat dry for 15 minutes and then paint 1-2 more coats. 3. 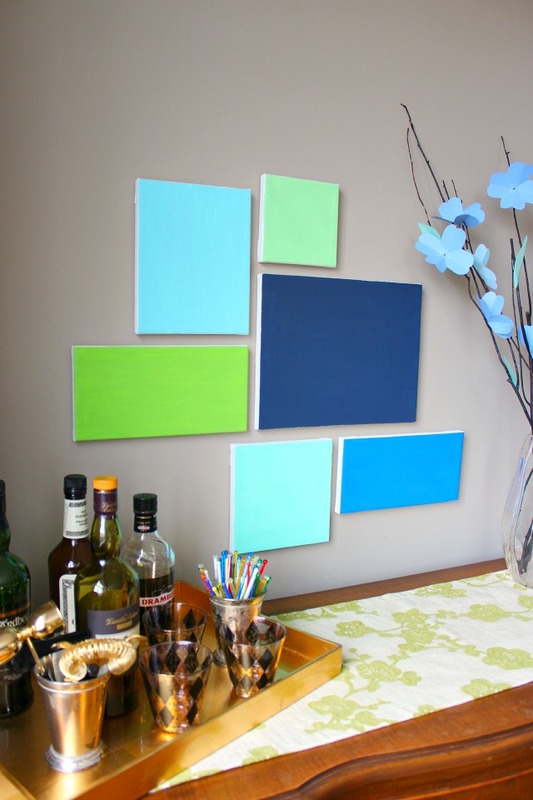 Experiment with different groupings of the painted canvases by laying them out on the floor. Once you have the layout you want, hang them on the wall!